Conversation is the most human and humanizing thing we do,” writes media scholar and author Sherry Turkle. It is also a fundamental spiritual practice. In her latest book Reclaiming Conversation: Talk in a Digital Age, Turkle points out that technology has enabled constant communication, while sacrificing real conversation for mere connection. Face-to-face conversation is essential for building relationships, developing empathy, and forming community. In this class, we will explore how to speak and listen to one another in love, and how to engage in faithful conversations across the dinner table, the political aisle, and various social and cultural divides. 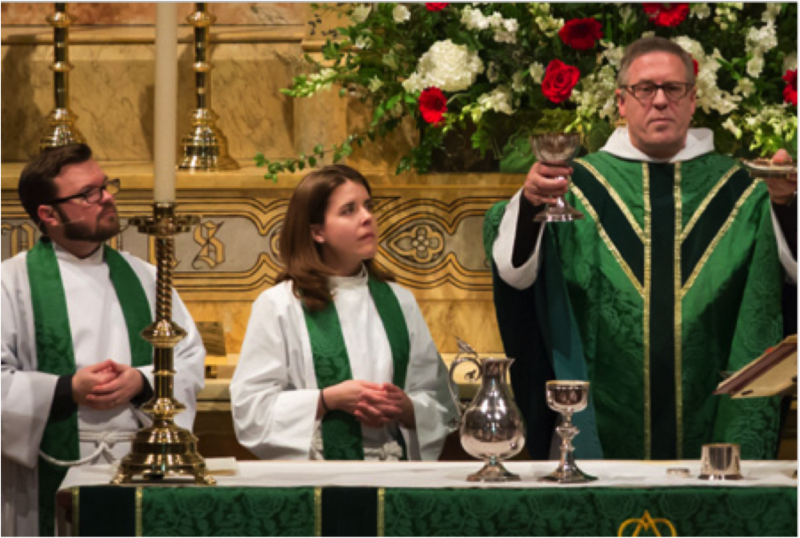 This class will be team-taught by the clergy of St. Paul’s: Brad Whitaker, Rector; Leigh Preston, Associate Rector; and Quinn Parman, Associate Rector. Between them, they have over 40 years of experience in ordained ministry, having served a number of parishes in diverse settings. They are committed to forming disciples and nurturing an inclusive and welcoming community of faith. They value face-to-face conversation, and they look forward to engaging in discussion with this class.